K4’s trade show season is in full swing! See our convention and trade show schedule here. With so many shows coming up in close proximity of each other, I felt inspired to write about the slump that can often happen after a trade show and how to avoid it. We’ve all been there. You leave convention inspired by what you’ve learned, excited about new connections you’ve made, motivated to implement change upon return to work, and armed with a ton of free swag to offer your staff in exchange for embracing the mighty and positive change that is coming. Maybe you even won an iPad. You have great intentions of embracing everything the convention offered to you. But after missing a few days of office time, an overloaded email inbox, and the return to the daily grind, you find you have a lot more to do than simply working off five pounds of convention food and drink. While most of us can relate to Post Convention Depression, what can we do to reap the benefits from all the learning and networking we actually did while there? Whether an attendee or exhibitor, one can benefit from taking at least one or more of the steps below to turn the contacts you made at convention into business relationships, and the knowledge you gained into a plan of action. Work LinkedIn. When you get home from convention, it is time to start pursuing the contacts you made in attempts to build relationships. All those business cards you have…speakers, attendees, exhibitors… connect with those people on LinkedIn immediately upon returning. It will force people to remember you and could lead to exciting opportunities. Plus, you can then throw out all those business cards! Keep your social media current so you can stay top of mind and in the news feeds of your new connections. Don’t attract people to your profile through a request to connect if you are not current with your social media or not positioning yourself as an industry expert or sharer of industry knowledge. Post Your Content. Send a post show email and include a photo album of convention pictures you took. Include this in the subject line and people will not only open your email, they will click through to your Facebook page, further engaging with you. Post any educational material or keynote quotes that really stuck with you and share the wealth. Recap. Recap and summarize the convention immediately with staff that attended. This means everyone pulls out those notes they took, identifies the key points, and together you compile a convention takeaway list. Schedule a meeting to share this list with the rest of the staff ASAP. Get their input on the ideas and how they can best work for your bank or company. Follow Up. Follow up on conversations you had with contacts ASAP and deliver anything you promised them. If you told them you’d send them something, do it immediately upon return. Remember that nice lady from The Bank of Awesomeness that sat next to you at lunch? Connect with her on LinkedIn and email her, check in to see if and how she is implementing anything she’s learned at convention. Don’t forget the Speakers. Connect with the speakers via email or social media. Obtain the presentation PowerPoint from those speakers, they’ll be happy to send them. Speakers are great connections to have because they are experts in your industry and may be a well experienced vendor for you, eliminating the extensive vendor search. Or, on the exhibitor side, they want the same clients and may already have some they can refer you to. Provide Feedback. Share what you liked or didn’t like, or any suggestions you may have with those putting on the convention, they love feedback and to keep attendees and exhibitors coming back. If they offer a post-convention survey, take it. Continue the Conversation. Post and discuss material learned. Most organizations have wonderful discussion boards on LinkedIn for people to share ideas and best practices. Send Thank You’s. Thank a speaker if you liked them; let them know if you’ve put an idea they provided into motion. Thank the hardworking folks who put on the convention. Thank people for meeting with you. Never underestimate the power of saying Thank You in business. Remember that there are two important reasons for the convention and continuing education. The first is to promote the sharing of new ideas and innovations in the industry. The second, to promote the benefits of building and maintaining the relationships between the members of the organization, the attendees, and the exhibitors. 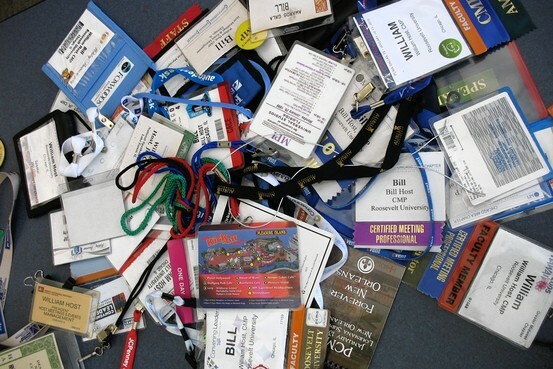 Life happens, work happens, family happens…and all those great intentions and ideas that spurred from convention often get thrown into a drawer with the other convention name tags and promo items. To make the most of your time at convention, your networking should be just beginning when you unpack that suitcase.